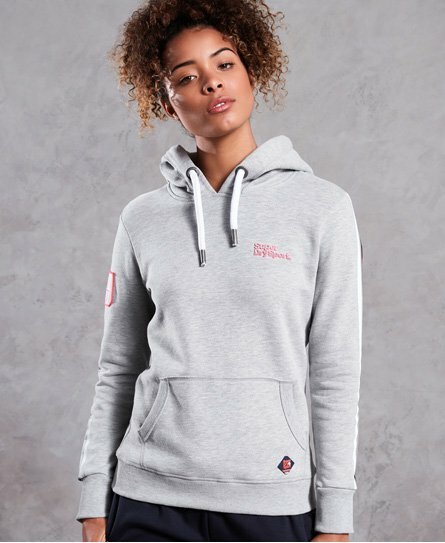 Superdry women’s Mega sport label hoodie. Part of the core range, this hoodie has been designed with comfort in mind, with its thermal properties making it the perfect thing to wear to and from that Monday night gym class. The hoodie features an adjustable drawstring hood, large front pouch pocket, stipe detailing down the sleeves and a Superdry badge on one arm. The Mega sport label hoodie is finished with a Superdry logo graphic across the hood and small logo badge on the chest and near the hem.